Chemtrails heated up by electromagnetics create a gas plasma that can be used for remote viewing (spying) and virtual reality mind control. OPEN CALL FOR FILM MAKERS! THIS NEEDS EXPOSED! of Chemtrails a Mind Control Op? 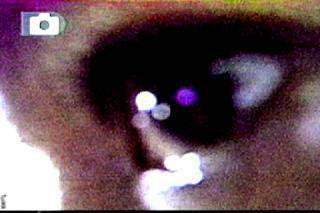 "picture of low-orbit satellite beam hitting car window of victim in N. Carolina in October of 2004"
A bright guy, who is a targeted individual and an ex-television repair man, took these pictures of his on-going, electromagnetic harassment. It seems to involve some kind of gas plasma. I have been reading about gas plasmas. Apparently, gas plasmas can be generated by heating up aluminum with a laser or microwaves. 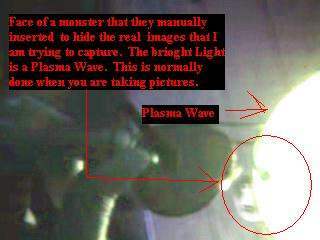 This is easily found online by typing in: aluminum AND plasma. Chemtrails have tons of aluminum particulates in them. Most NATO countries have been reporting almost daily, persistent contrails for 8 years. Are chemtrails related to dumping tons of particulates into the atmosphere not only for directed weapons development (dust, smoke, fog, sand, and particulates make DE work better) but for gas plasma to transmit virtual reality mind control programming? Let's hope not. We have been looking at the Air Force and Navy patents on this technology. "Columnar Focal Lense" is a vertical gas plasma column with a gas plasma lense at the end of it. [5,900,986] The Navy has a "Horizontal Plasma Antenna Using Plasma Drift Currents" patent. [6,118,407] These are not their only patents in this area. A more recent Navy patent, "Standing Wave Plasma Antenna with Plasma Reflector." [6,046,705] There are more. Hopefully, these lenses and antennas are only used at necessary times in warfare and not used to spy on the American people. But, the descriptions sure sound a lot like the classified, persistent, contrail operations over NATO countries. There are patents about the use of gas plasma for transmitting passive virtual reality. The holographic pictures along with the sound can be transmitted to a gas plasma. Here is a patent on passive virtual reality that can transmit to a gas plasma if you want to see the how far the technology has been openly developed. "Passive virtual reality." [5,422, 653] This patent may cover technology that was invented for consensual practices, but when you read it you become aware of just how easily these days similar technology could be used for nefarious purposes. Virtual reality mind control is a stated developmental goal of the U.S. Air Force in the document, "Air Force 2025." Who knows what technology is developed but hidden or classified. The definitions below have been extracted from the Space and Electronic Warfare Lexicon. The extracts have been selected for their specific reference to the use of Space and Electronic Warfare against civilians. ACOUSTIC BULLET - A NONLETHAL WEAPON consisting of a high-power, very low frequency acoustic beam weapon that incapacitates by creating plasma in form to the target, generating an impact wave like that of a blunt object. It causes blunt object trauma, as opposed to that of a conventional bullet which cause ripping and tearing of the target. [10:2341] See also SONIC BULLET. BEAM-PLASMA DEVICE - A broadband high-powered microwave generator that employs the interaction of relativistic electrons and plasma. See also FREE-ELECTRON LASER; GYROTRON; VIRTUAL-CATHODE OSCILLATOR. [10:16] NOTE: Beam-plasma devices have potential for use as DIRECTED ENERGY WEAPONs. GYROTRON - A high power microwave generating device suitable for use as a DIRECTED ENERGY WEAPON in the MILLIMETER WAVE band. [10:16] See also BEAM-PLASMA DEVICE, FREE- ELECTRON LASER; VIRTUAL-CATHODE OSCILLATOR. PASOTRON - Plasma-assisted slow-wave oscillator, a small-size, light weight source for high power, long pulse microwave energy. Considered (in 1992) to be a next-generation device for directed energy applications such as mine clearing, anti-missile defense, anti-aircraft defense, remote jamming, and other directed energy weapons. [10:2478] See also DIRECTED ENERGY DEVICE. This is just a small sample of weapons applications of plasma. The fact is that plasma generation [which can be done with the heating up of aluminum particulates from the chemtrails with lasers or microwaves] is an important aspect of the atmospheric platform for the new generation of weapons called exotic weapons or directed energy weapons. According to H.R. 2977, sponsored by Dennis Kucinich in the 107th Congress, exotic weapons include mind or mood weapons. Recently, some of the people targeted by electronic harassment and/or mind control starting filming and photographing "beams" directed at them coming from low-horizon satellites. These are the satellites that are seen usually at dusk at 30-50 above the earth. The electromagnetic meters that they are taking readings with when this happens are recording microwave and x-rays coming from -- "straight up." People have been saying for years that they were being "attacked" by satellites. Could this be true? It appears so to me. Chemtrail activists, mind control victims, and non-proliferation activists are coming together and finding that each group has had pieces of a much larger puzzle. We are looking for directors or independent film makers who would like to showcase our plight. This issue would make a great documentary or a fiction film a la Karen Silkwood (so long as it is made clear that though the victimization of people by mind control technology has been put into a story format, the issue is real, has 60 years of credible documentation, and as of yet, there is no viable remedy under the law for victims of electronic torture in America). Let us not forget -- we have a President who came out in support of the torture of prisoners captured in The War on Terror even though torture is against The Rules of War and The Geneva Conventions. And, five cities have decided to implant the homeless. Will the homeless now be mind controlled, too? Some people claim that the homeless have been experimented on with mind control programs for years. We have pictures, films, and reputable and knowledgeable victims that can be interviewed in many NATO countries. This ground-breaking movie would evaporate urban myths like: chemtrails are normal, all mind control victims are just paranoid, Planet X is real (we have proof that it is a big gas plasma orb), little grey aliens and nasty reptilians are abducting people, and there are really no weapons in space. If any little grey aliens or nasty reptilians are really abducting, probing, and implanting people, I apologize for under-estimating the depth of your depravity. Holographic Aliens in Your Home? 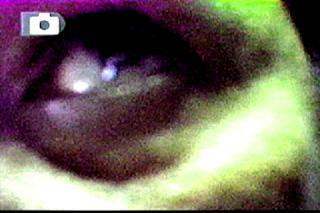 Gas Plasma Transmitter Magnetically Attached to Victim's Eye? 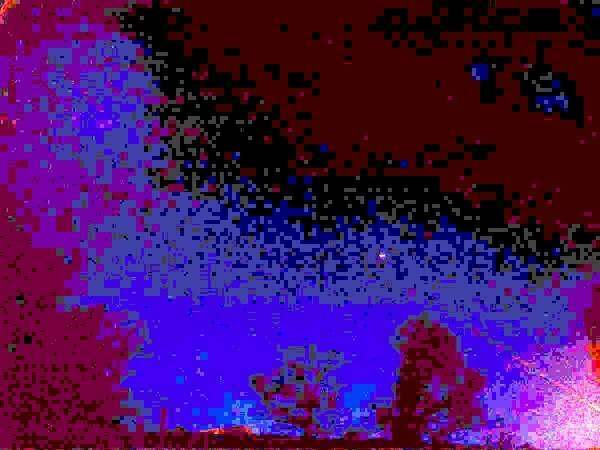 String of Gas Plasma Orbs on Lower Lid & Evil Alien Reflected on Retina?